George Clinton (July 26 [O.S. July 15] 1739 – April 20, 1812) was an American soldier and statesman, considered one of the Founding Fathers of the United States. He was Governor of New York from 1777 to 1795, and again from 1801 to 1804, then served as the fourth Vice President of the United States from 1805 to 1812, under Presidents Thomas Jefferson and James Madison. He and John C. Calhoun are the only people to have served as US Vice President under two different presidents. 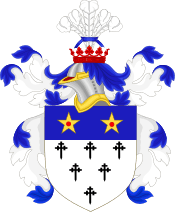 Clinton was born in Little Britain, Province of New York to Charles and Elizabeth Denniston Clinton, Presbyterian immigrants who left County Longford, Ireland, in 1729 to escape an Anglican regime that imposed severe disabilities on religious dissenters. His political interests were inspired by his father, who was a farmer, surveyor, and land speculator, and served as a member of the New York colonial assembly. George Clinton was the brother of General James Clinton and the uncle of New York's future governor, DeWitt Clinton. George was tutored by a local Scottish clergyman. During the French and Indian War he first served on the privateer Defiance operating in the Carribean, before enlisting in the provincial militia, where his father held the rank of Colonel. During the French and Indian War George rose to the rank of Lieutenant, accompanying his father in 1758 on Bradstreet's 1758 seizure of Fort Frontenac, cutting one of the major communication and supply lines between the eastern centres of Montreal and Quebec City and France's western territories. He and his brother James were instrumental in capturing a French vessel. His father's survey of the New York frontier so impressed the provincial governor (also named George Clinton, and "a distant relative") that he was offered a position as sheriff of New York City and the surrounding county in 1748. After the elder Clinton declined the honor, the governor later designated George as successor to the Clerk of the Ulster County Court of Common Pleas, a position he would assume in 1759 and hold for the next 52 years. After the war, he read law in New York City under the attorney William Smith. He returned home (which at that time was part of Ulster County) and began his legal practice in 1764. He became district attorney the following year. He was a member of the New York Provincial Assembly for Ulster County from 1768 to 1776, aligned with the anti-British Livingston faction. His brother James was a member of the Provincial Convention that assembled in New York City on April 20, 1775. A month after the first open armed conflict in Lexington, the Continental Congress resolved on May 25, 1775, to build fortifications in the Hudson highlands for the purpose of protecting and maintaining control of the Hudson River. James Clinton and Christopher Tappan, lifetime residents of the area, were sent to scout appropriate locations. In December 1775 the New York Provincial Congress commissioned him brigadier general in the militia tasked with defending the Highlands of the Hudson River from British attack. To this end he built two forts and stretched a giant chain across the river to keep the British forces in New York City from sailing northward. On March 25, 1777, he was commissioned a brigadier general in the Continental Army. In June 1777, he was elected at the same time Governor and Lieutenant Governor of New York. He formally resigned the Lieutenant Governor's office and took the oath of office as Governor on July 30. He was re-elected five times, remaining in office until June 1795. Although he had been elected governor, he retained his commission in the Continental Army and commanded forces at Fort Clinton and Fort Montgomery on October 6, 1777. He remained in the Continental Army until it was disbanded on November 3, 1783. 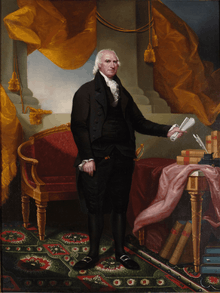 Gubernatorial portrait of George Clinton. He was known for his hatred of Tories and used the seizure and sale of Tory estates to help keep taxes down. A supporter and friend of George Washington, he supplied food to the troops at Valley Forge, rode with Washington to the first inauguration and gave an impressive dinner to celebrate it. In 1783, Clinton became an original member of the New York Society of the Cincinnati and served as its president from 1794 to 1795. In 1783, at Dobbs Ferry, Clinton and Washington negotiated with General Sir Guy Carleton for the evacuation of the British troops from their remaining posts in the United States. In 1787–88, Clinton publicly opposed adoption of the new United States Constitution. Twentieth-century historian Herbert Storing identifies Clinton as "Cato", the pseudonymous author of the Anti-Federalist essays which appeared in New York newspapers during the ratification debates. However, the authorship of the essays is disputed. Clinton withdrew his objections after the Bill of Rights was added. He did not run for re-election as governor in 1795. 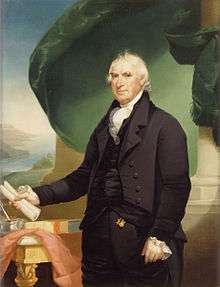 He held no political office until he was elected to the New York State Assembly in April 1800, and was a member of the 24th New York State Legislature. In 1801, he was again elected governor, serving until 1804. With 21 years of service, he was the longest-serving governor of a U.S. state until December 14, 2015, when Iowa governor Terry Branstad surpassed him. The land that is in the present day the state of Vermont was before 1764 a disputed territory claimed by the colonies of New Hampshire and New York. 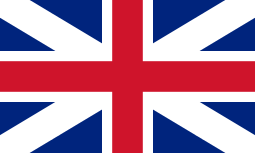 During 1749–64 it was governed as a de facto part of New Hampshire and many thousands of settlers arrived. In 1764 King George III awarded the disputed region, then called the New Hampshire Grants, to New York. New York refused to recognize property claims based on New Hampshire law, thus threatening the eviction of many settlers. Consequently, New York's authority was resisted by local authorities and the militia known as the Green Mountain Boys. In 1777, having no further hope of rulings from the king or courts of England to protect their property, the politicians of the disputed territory declared it an independent state to be called Vermont. Vermont's repeated petitions for admission to the Union over the next several years were denied by the Continental Congress, in large part because of opposition from the state of New York and its governor George Clinton. "to Oppose the ridiculous and destructive Scheme of erecting those Lands into an Independent State." "recur to force, for the preservation of her lawful authority." "destitute of the protection of the United States." However, a Congressional committee recommended recognition of Vermont and its admission to the Union. The committee's recommended bill was opposed by New York's delegates and did not pass. Six years later the New York legislature decided to give up New York's claims to Vermont on condition that Congress would admit Vermont to the Union, and the new state was admitted on March 4, 1791. Clinton was selected as President Jefferson's running mate in the 1804 presidential election, replacing Aaron Burr. He served as the fourth Vice President of the United States, first under Jefferson, from 1805 to 1809, and then under President James Madison from 1809 until his death from a heart attack in 1812. Clinton attempted to challenge Madison for the presidency in 1808, but was outmaneuvered by Madison's supporters when the congressional nominating caucus chose him as the vice presidential nominee. Clinton received six electoral votes for president, but won re-election as vice president instead. Clinton's nephew, DeWitt Clinton, challenged Madison in 1812 after George Clinton's death. Clinton was the first vice president to die in office as well as the first vice president to die overall. 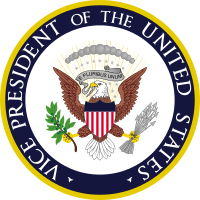 Clinton was the first of two vice presidents to serve in the position under two different presidents (John C. Calhoun was the other). 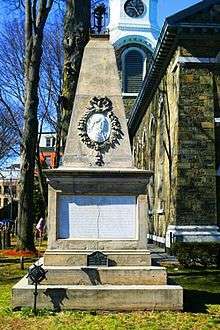 Catharine Clinton (November 5, 1770 – January 10, 1811); married firstly, to John Taylor, and secondly Pierre Van Cortlandt, Jr.
His original burial was in Washington, D.C. He was re-interred at the Old Dutch Churchyard in Kingston, New York in 1908. Historian Alan Taylor described George Clinton as that "The astutest politician in Revolutionary New York," a man who "understood the power of symbolism and the new popularity of a plain style especially when practiced by a man with the means and accomplishments to set himself above the common people." His marriage to Cornelia Tappen strengthened his political position in heavily Dutch Ulster County. Clinton County, New York; Clinton County, Ohio; and the village of Clinton, Oneida County, New York (site of Hamilton College), Clintonville, Columbus, Ohio; are all named for him. In Washington, D.C. there is a gilded equestrian sculpture of him on Connecticut Avenue. In 1873, the state of New York donated a bronze statue of Clinton to the U.S. Capitol's National Statuary Hall Collection. In 1787 Clinton was depicted on an unauthorized copper coin minted privately in New York with "EXCELSIOR" on reverse. He was depicted in John Trumbull's Declaration of Independence even though he neither signed it nor was present when it was signed. In 1976 the painting appeared on the reverse of the two dollar bill and printed again in series 1995 and 2003. In 2000, the State of New York ceremonially renamed the Kingston-Rhinecliff Bridge in honor of Clinton. ↑ "A Revolutionary Day Along Historic US Route 9W". Revolutionaryday.com. 1908-05-30. Retrieved 2013-02-27. ↑ "George Clinton". Architect of the Capitol. Retrieved 2013-02-27. ↑ George Clinton to Micah Townsend and Israel Smith, June 3, 1778, reprinted in Hugh Hastings, comp., Public Papers of George Clinton, First Governor of New York, eight voumes. (Albany, New York: Wynkoop Hallenbeck Crawford Company, James B. Lyon and Olver A. Quayle, State Printers, 1899–1904), 3: 396–398. ↑ Instructions to the Delegates of New York in the Congress of the United States, March 2, 1784, reprinted at Records of the Governor and Council of the State of Vermont. Eight volumes. Montpelier, Vermont, Steam Press of J. & J. M. Poland, 1873–1880. ↑ Morgan, William G. (1969). "The Origin and Development of the Congressional Nominating Caucus". Proceedings of the American Philosophical Society. 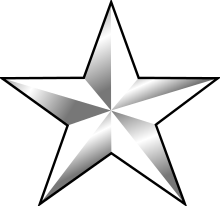 113 (2): 188–191. JSTOR 985965. ↑ "Clinton genealogy site". Rootsweb.com. Retrieved 2013-02-27. ↑ "Copper coin: George Clinton Copper – 1787". 2020site.org. Retrieved 2013-02-27. Wikimedia Commons has media related to George Clinton. United States Congress. "George Clinton (id: C000527)". Biographical Directory of the United States Congress. Barbagallo, Tricia (March 10, 2007). "Fellow Citizens Read a Horrid Tale" (PDF). Retrieved 2008-06-04.